One of Footwork's finest returns from getting robbed and shot with one of his most impressive collections to date. 'TEKLIFE Vol. 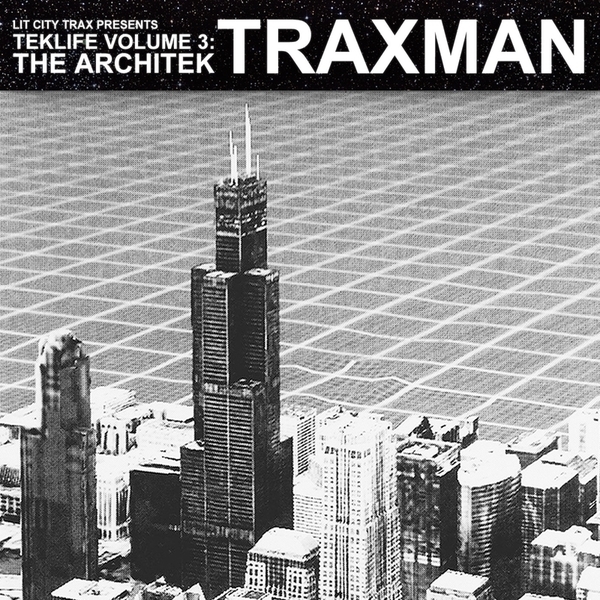 3: The Architek' is a brilliant, futuristically funked-tae-f**k expo of Traxman's minimalist, shifty style; 21 tracks of tessellating typewriter snares, sub bass hydraulics and hyper-prismic samples refracting Wu Tang, Jacko, Kung Fu flicks, Bernard Herrmann, and nuff classic soul. If we're picking highlights then the lush oriental infusions of the Slackk or Fatima Al Qadiri-esque 'Buddha Muzik' is a big one, and the Samba-style syncopations of 'Blow Your Whistle' are mad infectious. That pitch-bent synthline on 'Manic' is just wild as owt, and we've rarely heard the over-used 303 sound quite like it does on 'Mobile Acid', or laced into the deliriously frantic '2200 Acid'. Straight winner!